It is not uncommon for artists’ lives to be littered with fractures, a circumstance that seems to grow with the intensity of an artist’s creative will. A musician like Hans-Joachim Roedelius, who has played in so very many definitive musical ensembles, knows that all too well. Born in 1934, Roedelius was part of what was a “who’s who” of celebrated musical innovators in the bands Harmonia and Cluster and constantly kept company with eccentric artistic personalities. It is lovely when such fractures aren’t seen as a burden but as what they should be to an artist: an indescribable treasure trove of experiences; Roedelius exploits this rich array of experiences elevates them and continually restyles them. Paris-based Swiss musician Christoph H. Müller looks back upon a similarly broad-ranging wellspring of experiences, despite being the younger partner in this synergetic duo. With bands like Gotan Project he emancipated the idea of world music from its constraints, enriching it with a plethora of celebrated productions. Müller belongs to a generation of musicians that invariably profited from Roedelius’s pioneering work in the realm of electronic music, augmenting it and sharing in it with a constructive élan – them joining to collaborate was mere providence. In 2015 their debut, IMAGORI, was released on Groenland Records. It is an album that readily demonstrated how well their musical visions fit together. 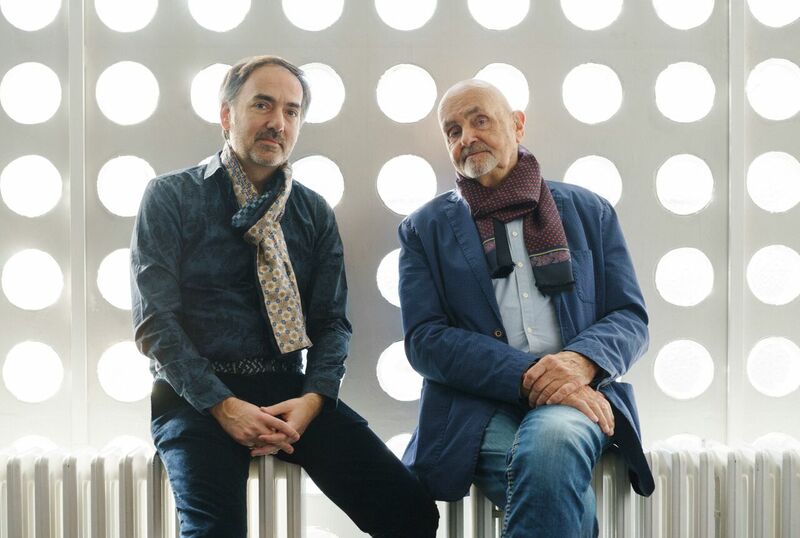 Roedelius’s soundscapes joined Christoph H. Müller’s electronic productions and beats and they entered into a dynamic symbiosis that gave rise to music that, instead of uniting two worlds, created a new one. That process continues seamlessly. The title itself implies as much: IMAGORI II. The second joint album from these electronic music virtuosos shows new facets of their collaborative efforts and reveals all the new discoveries there are to be made when two explorers join forces. IMAGORI II’s twelve tracks oscillate between tender and hard-edged, between science fiction and the Garden of Eden; they call forth organic orchestral sounds that then fragment; they create moods ranging from melancholy to euphoria and are all the while accompanied by Roedelius’s filmic pathos, which has no use for extravagant gestures and instead tests the limits of minimalism. Language is employed strikingly often; for instance, on the first track “FRACTURED BEING,” which is sung by “Miss Kenichi,” alias Katrin Hahner. The song “ICH DU WIR” is a family affair in which Rosa Roedelius gradually allows the listener to observe how soundscapes allow deconstructed language to fuse into structured form once again. Then, on “LA VIE EN BLUE” we hear Christoph H. Müller’s daughter illustrate the boundlessness of her father’s music in while singing in French. Thus, we witness new experiments on IMAGORI II that are well aware of the foundations they are built upon and that sometimes let us forget the present with their future-oriented perspective while never descending into pure escapism. The twelve tracks allow the listener to close his or her eyes and enter a dream that could not sound more beautiful – we experience this phantasm as IMAGORI II. It contains no fractures, merely passages that provide a plane on which something new emerges. The album ends with a song that could not be more defining and that recapitulates the production’s musical harmony one final time: “HIMMLISCHER FRIEDEN.” Hopefully, this will go on for a long time.